Togo is neither densely populated nor over populated. The total area is about 35,418 square miles and, according to 2009 estimates, the population is about 6,619,000, making it the 107th largest country by population in the world. This population figure indicates that Togo has a very high growth rate, since the population grew by more than 5 times between 1961 and the year 2003. 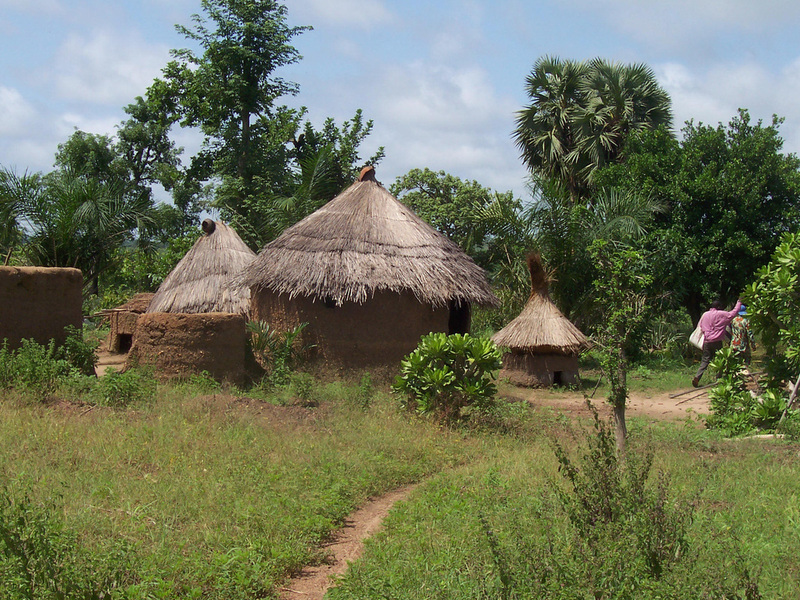 Since the soil in Togo is very rich and the climate is very favorable to agriculture, a lot of people prefer to live in the rural areas. The rural dwellers plant crops and graze animals, leaving about 35% to settle in the urban areas. The country consists of over 40 tribes comprising Ewe, Tchamba, and Uaci. Togo, officially referred to as the Togolese Republic, is situated in West Africa. Surrounded by Ghana to the west, Benin to the East, and Burkina Faso to the north. 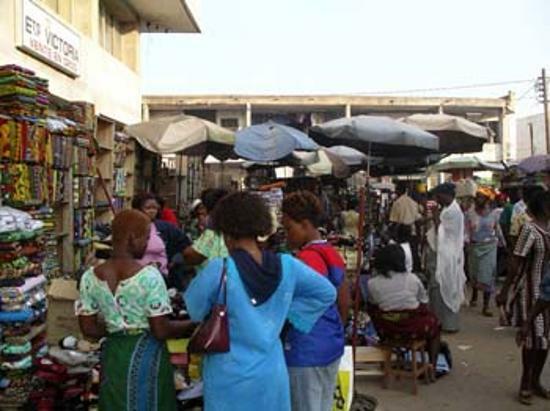 The capital of Togo is Lome, situated on the Gulf of Guinea, an extension of Togo to the south. The majority of Togo people practice their traditional religion. Only about 20% are Christians and 10% are Muslims. The country's time is +0.00 GMT and the currency is the CFA Franc. In Togo, agriculture is successful because the climatic conditions are favorable for crop growth. It is a tropical and sub-Saharan nation. Togo's official language is French because they had France as colonial masters, but they also speak other local languages. The international dialing code is 228. Togo measures 35,418 square miles (approximately 57,000km) making it slightly smaller than Virginia in the United States. It is a West African country with geographic coordinates: 800 degrees N and 110 degrees E. It has about 35 miles of coastline and the climate is semi arid in the north and hot and humid in the South. Togo's terrain is very attractive: gently rolling savannah in the north; central hills in the southern plateau; and low coastal plains with a beautiful extension of lagoons and marshes. The lowest point in Togo is 0m at the Atlantic Ocean while the highest point, Mount Agou measuring 986m. 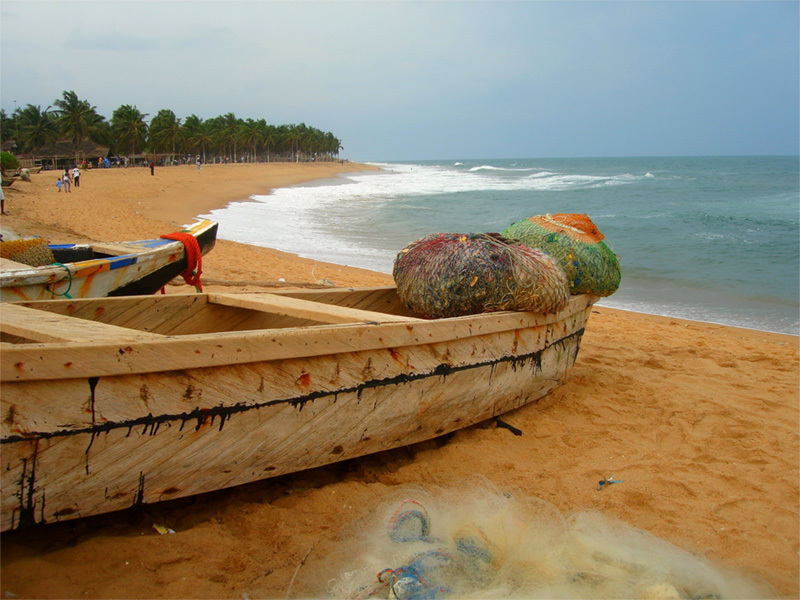 Togo is blessed with many natural resources, including phosphates, limestone, marble, and arable lands. Before the influx of the Portuguese in the late 15th century, various tribes migrated into the country from different directions because of the pressure of colonial rule in neighboring countries. The Ewe ethnic group came from Nigeria and Benin, and the Guin and Mina tribes cane from Ghana. In the 16th century, slave trade began and the Europeans found Togo. The dense population of slaves along the coast prompted the Europeans to call Togo the "slave coast". In 1884, when Germany was very influential in the world, they took over Togo. However, in August 1914, when Germany was defeated after World War 1 by Britain and France, Germany surrendered. Some years later, Britain decided to concentrate on Ghana, leaving Togo for France. In 1960,Sylvanus Olympio brought independence to Togo. He was assassinated on 13th January 1963. On 13th January 1967,Eyadema Gnassingbe took over power. He died in 2005 after ruling for 38 years, and his son is now president. 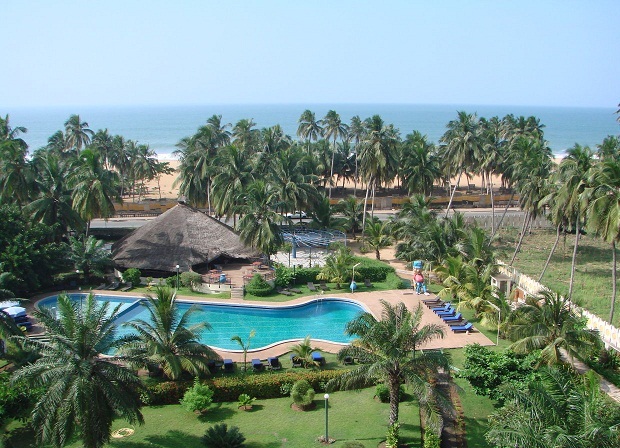 Lome: The capital city has urban skyline with high-rise buildings, it also a stretch of beautiful coastline to the south. The proximity to the ocean makes the atmosphere very comfortable and quiet for relaxation. There is the famous shopping center called the Grand Marche located at the center of the town, known to have anything money can buy. The National Museum: Lovers of artwork enjoy ancient ceramics, antiques curios and woodcarvings. The Museum is located behind the Palais des Congres. Atakpame: In the highlands of Togo, this cool and pleasant clime attracts a lot of visitors each year. You may catch a performance of the Stilt dancers of Togo. Kpalime: Located near the Togo-Ghana border, this town has the famous Togo Mountain called the Picd'Agou Mountain. There are several other mountains in the Kpalime town area, including those around Klouto, where you are likely to see many beautiful butterflies. There is no high nightlife in Togo because most people enjoy their nights by spending it in bars and restaurants, enjoying live theater, bands, and dance groups. Many visitors consider the lack of a more lively nightlife an important attraction. 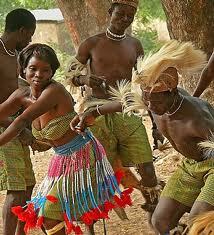 Togo has many ethnic groups affecting their culture. The official language is French, but many other languages are spoken, including the Gbe language. Despite the influence of Christianity, a lot of people still follow native animistic practices and beliefs. In Kloto area, the people are known for skillful woodcarving. They are mainly engaged in carving rings from a particular wood for marriage purposes. The Togo people make and wear special clothing with dyed fabric batiks and loin cloths used on special occasions. At mealtime, the men like to eat alone with other men leaving their wives and children to eat together, sitting on small woven mats. 1) Fufu: made from boiled yam mashed to form a dough. It is eaten with soups. 2) Akume/pastes: formed when maize is ground into flour and mixed with water to form dough. It is also eaten with different kinds of soup. 3) Tchakpallo: This is a mixture of fermented millet and palm wine, served instead of German beer in traditional settings. It has become very characteristic of the Togo people to be fond of Akume with Ademe sauce. Fufu with chicken is another irresistible taste for the Togo people and tourists alike.